Heuwelkruin and Westhill are well-established areas with older homes with character in Knysna, as well as some newly built ones within walking distance to the town centre. 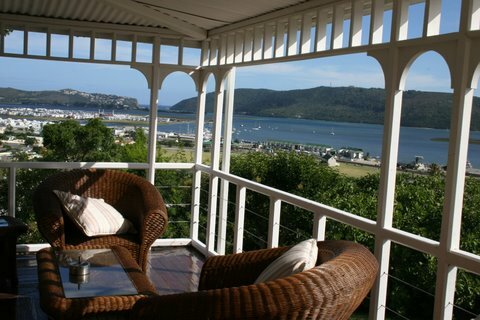 Some properties in Heuwelkruin and Westhill have uninterrupted views over the Knysna lagoon. A real fairy-tale picture unfolds at night time when all the town lights come on. If you enjoy boating, fishing, skiing, canoeing or swimming - these can all be enjoyed within close proximity at the nearby Knysna lagoon. A recently built 6 km promenade along the lagoon is very popular for walking, running and cycling by the Knysna locals and also as a lookout point for tourists. Pledge Park is a municipal owned park, planted with indigenous plants, created and maintained by locals. It lends itself to a very informative leisurely stroll through the garden, which borders the central town. The highly recommended Oakhill private school is situated in this suburb (with a view through the Knysna Heads), which is very convenient for families with school going children. The bulk of the properties in Westhill and Heuwelkruin are occupied by the owners throughout the year, which results in true community living - making the area a real homey neighbourhood. The area is also safe and secure thanks to the efforts of local neighbourhood watch. People who visit Knysna often drive around Heuwelkruin and Westhill just for the brilliant views from these suburbs. If you buy a property in Westhill or Heuwelkruin, you can enjoy this all year around!